Eugene Grasset (1845-1917)Born in Lausanne, Switzerland, the young artist, Eugene Grasset, was inspired by the work of Gustave Doré. At the age of 26 Grasset moved to Paris, and like many other Art Nouveau artists of his time was further inspired by the discovery of Japanese print making techniques.He later became famous for the creation of italic typeface. 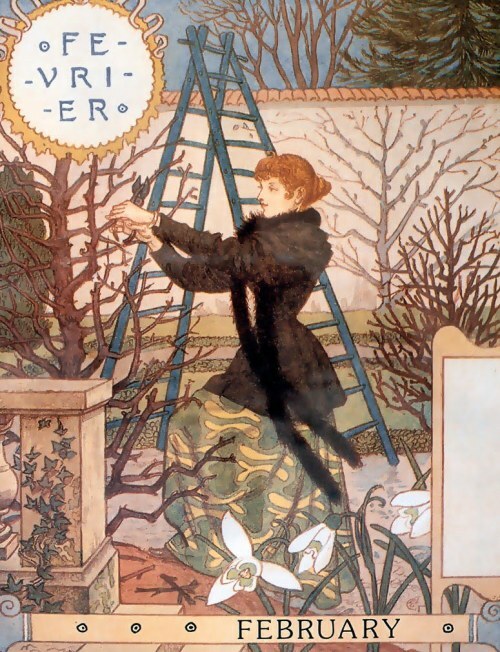 In 1894 he was commissionedby the French department store, La Belle Jardinière to create a calendar. Grasset’s depictions of beautiful young women in seasonal gardens is still beloved today.